This was a select group of 20 singers/dancers that represented the University of Iowa. This picture includes the entire troupe, the pit band and stage crew that travelled with us. We performed all over Iowa. 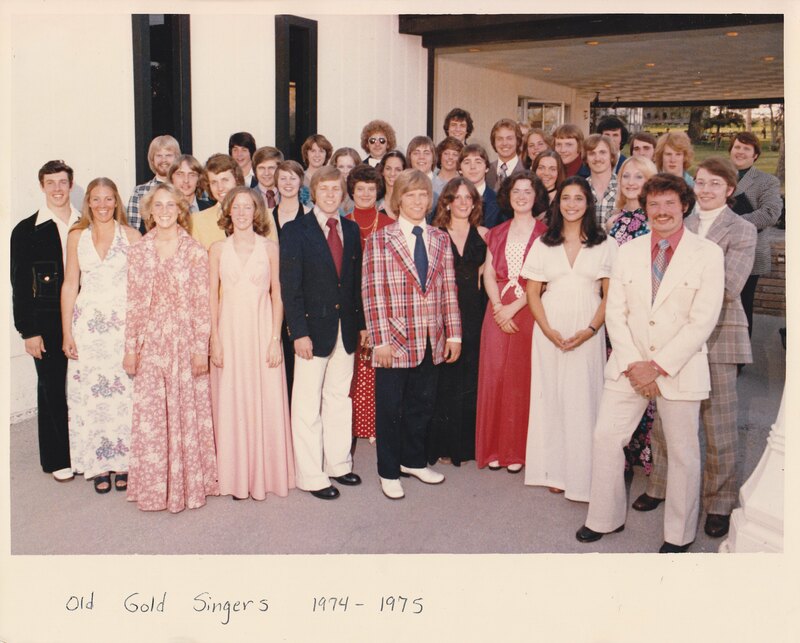 The Old Gold Singers even made special trips to perform in Chicago, Dollywood, and at Disney World. I am standing in the front row with the white suit.